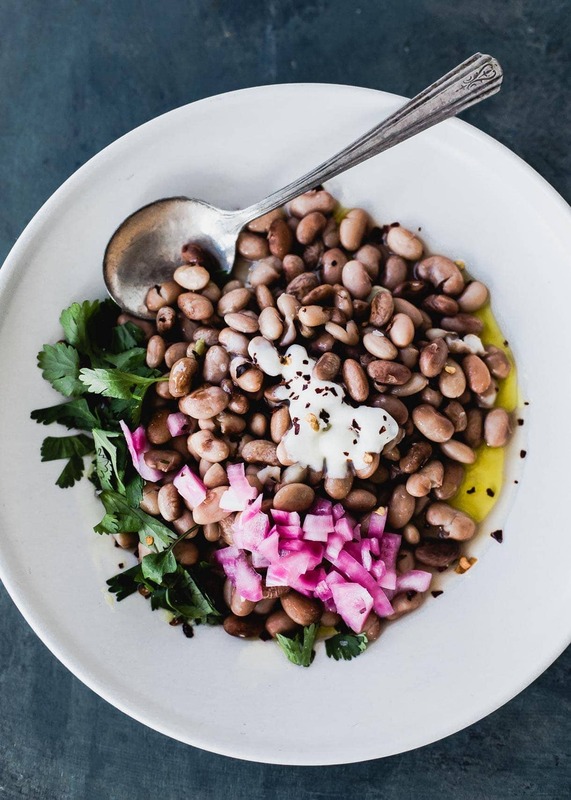 This Vegetarian Instant Pot Pinto Beans recipe is sponsored by the Nebraska Dry Bean Commission. 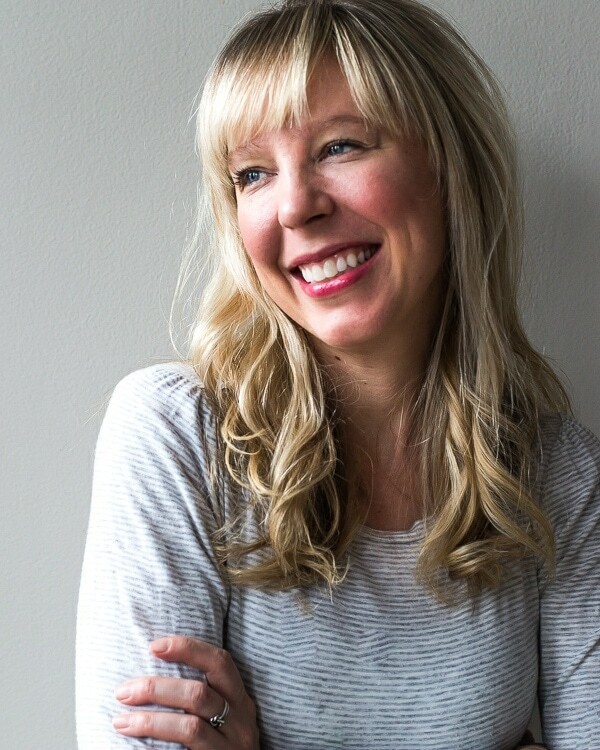 I had the opportunity to visit their farmers last fall, and experience the bean harvest. 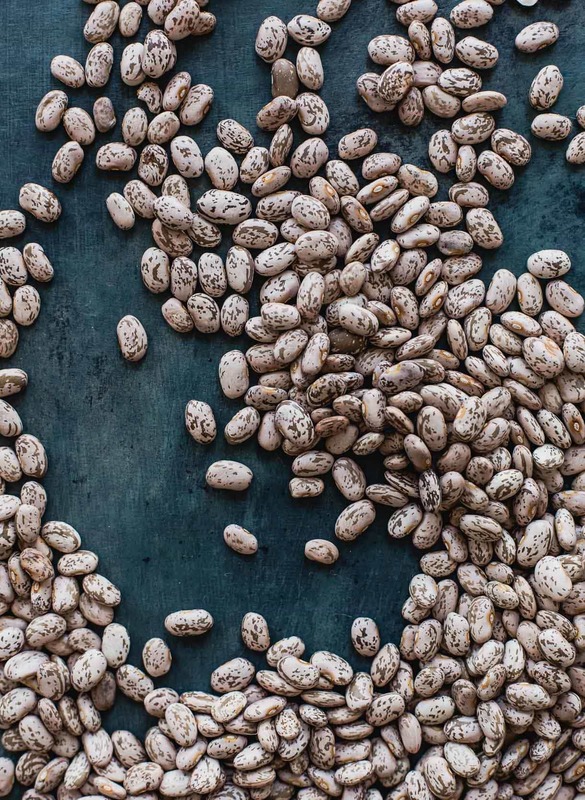 Together, we are working to spread the love of adding dry beans to your meals, and their incredible nutritional benefits. I bought this Instant Pot on Black Friday of 2016. At that point I didn’t know much about it, besides that it cooked things fast, and was supposedly the next big thing for the kitchen. I like gadgets, and it was on sale for $80, so I went for it. To then let it sit in the box, collecting dust, for at least three months. Thinking about having to learn the system was intimidating — the pressure valve (was I supposed to have it on venting or sealing, cook modes – they were 6 of them!, and when to do high/low pressure. I started with a simple pot of rice. Result: Perfectly fluffy, grains that didn’t stick together. And an even better result: I could say good-bye to my rice cooker and open up space in storage. Next was hard boiled eggs. Result: Perfectly creamy, yellow yolks, easier to peel than I’d ever experienced before, and no shells that broke during cooking. I cooked a whole chicken in 20 minutes, shredding it and freezing to use later on in recipes like this cheesy skillet dip. And then I conquered beans. One of the foods I could never master, even though I’d tried every method, every trick. Quick soak, slow soak, salt at the beginning, no salt, fresh beans, slow cooker, you name it. They’d be undercooked and hold a slight crunch, or blown apart and mushy. But not anymore! 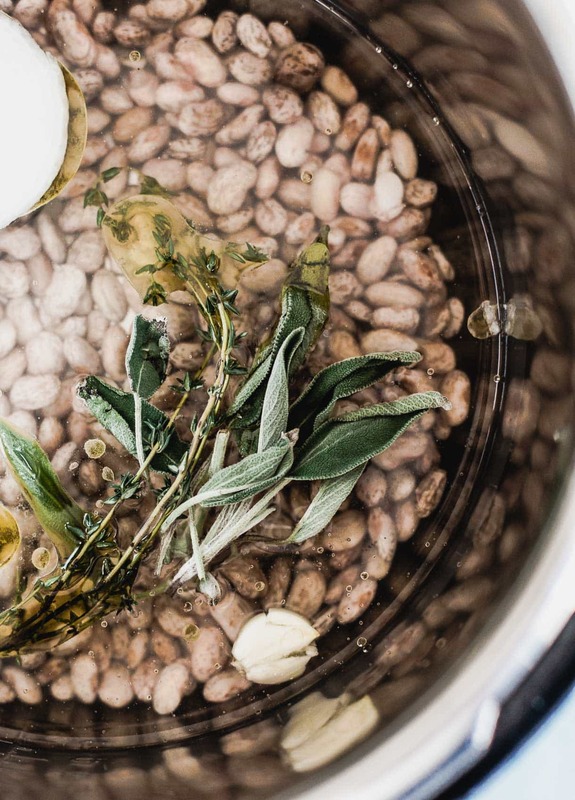 Cooking beans with this appliance couldn’t be easier, more consistent, or more delicious. And a great way to add protein to your life. 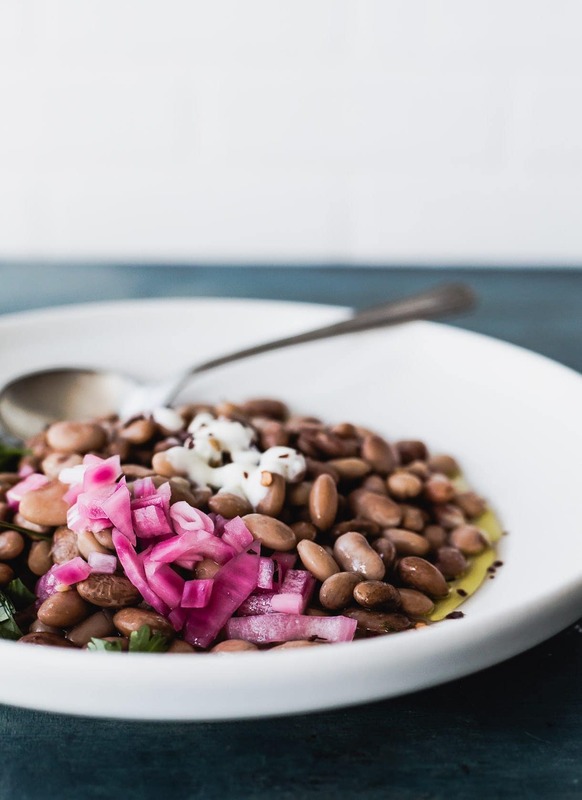 These Instant Pot Pinto Beans are all about flavoring from the inside out, with herbs, onion, and garlic in the pot as they cook. Then topped with Mexican inspired ingredients like pickled red onion, cilantro, red pepper flakes, and creme fraiche or sour cream. Like this, they’d make a great side dish, or top with an egg and make it breakfast, lunch, or dinner. I also use the beans throughout the week for making burritos and tacos. 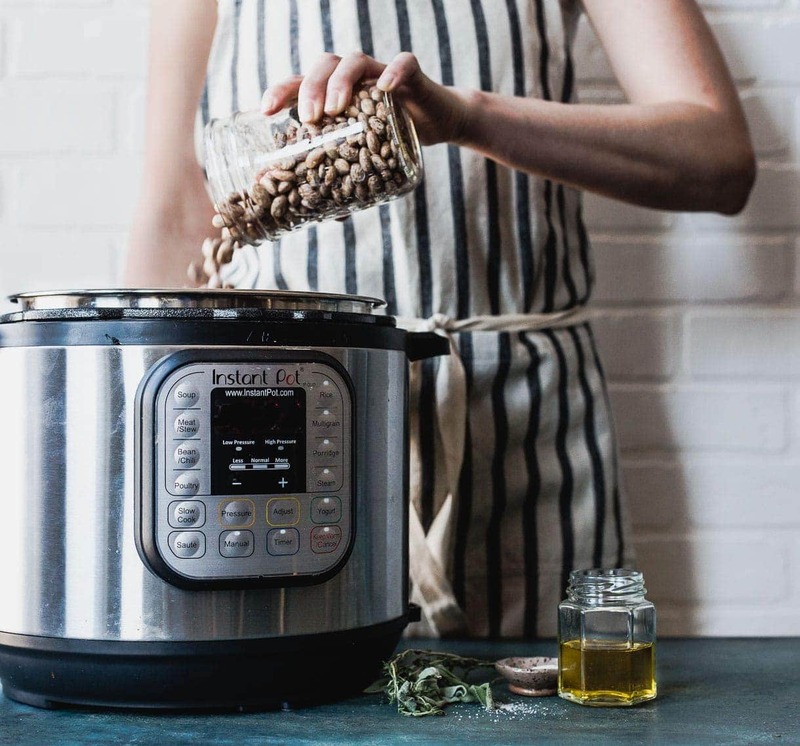 If you’re still hesitant about getting an Instant Pot, think of it as dinnertime convenience in stainless steel form, an appliance that combines an electric pressure cooker with a slow cooker, electric steamer, yogurt maker, and rice cooker. That means you can get rid of several appliances, open up so much space in your kitchen, and transform meal prep and weeknight cooking. Do it! 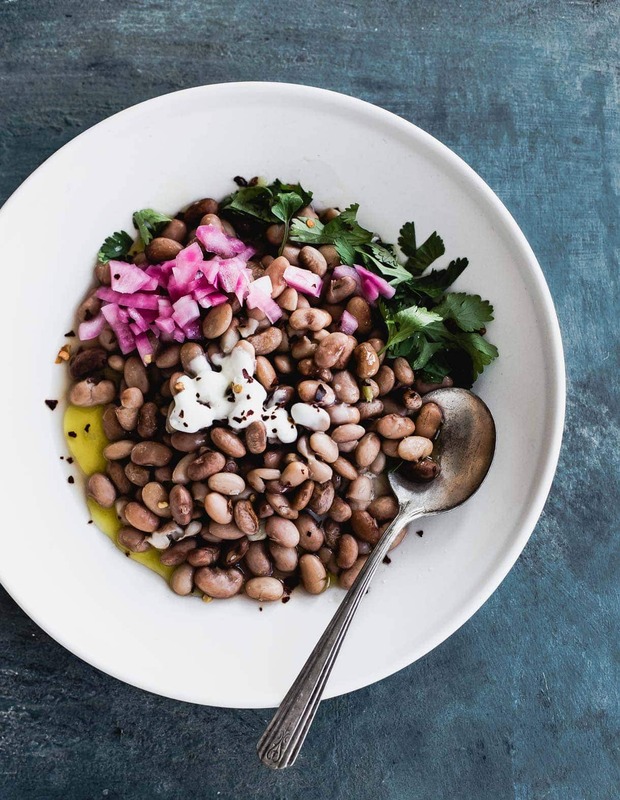 Add beans to Instant Pot and pour in water. Stir in salt. Drop in onion, garlic, herbs. Add olive oil. Put lid on the machine, and set valve to sealing. Press manual then high pressure, and set for 11 minutes. Let cook, and naturally release. When ready, open lid. After onions have cooled a bit, discard onion, herbs, and garlic with a slotted spoon. Taste beans and add salt if needed. To serve, top with pickled red onions, creme fraiche or sour cream, red chili flakes, avocado, and cilantro. If you don't have time to soak the beans, press manual, then high pressure, and set for 30 minutes. Complete recipe as written, with natural release. This post contains Amazon affiliate links, which I may make a small commission from should you decide to purchase. I love love love my Instant Pot! I wasn’t sure how to use it either ,but it’s proven to be my favorite way to make mashed potatoes now and batch cooks grains like no other :) I need to move onto beans next, these look fantastic! Oooo, I tried turning farmer’s market pinto beans into baked beans last summer (after making homemade BBQ sauce :) ) and never succeeded. This gives me hope! I am eating all local for a year and haven’t found dried beans, so it may be summer, but now I’m psyched! Hi Inger! Your coop may also have local beans. Enjoy, and thanks for the comment!